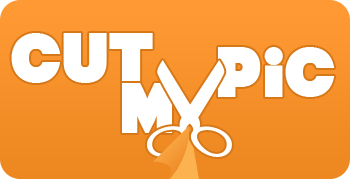 Use the power of CutMyPic right from your own blog or personal website! Simply copy and paste the code to the right of any of the following blog tools or buttons and paste it into the body of your html! CutMyPic will appear in your site as it does on this page! Not finding the one you want? Send us an e-mail with your size specifications and we'll add it to the list! Apple users download our FREE application version here! Put step 1 in your website with one line of code!